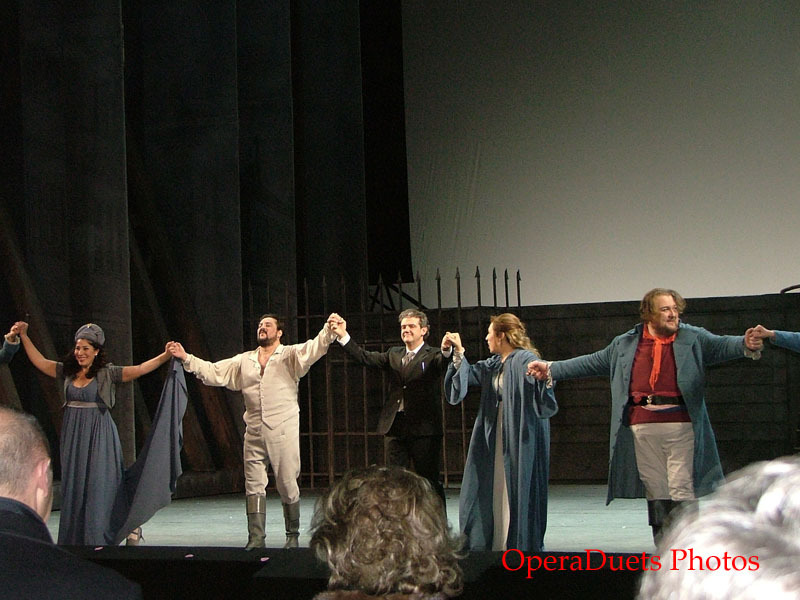 After the dark Macbeth in Genova I was happy to see this colorful Andrea Chenier in Torino. This opera was double expensive for me since I originally had thought to see Macbeth again in Genova with other singers as Macbeth and Lady Macbeth. So that ticket was never used. 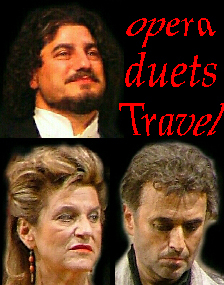 The newsletter from Teatro Regio Torino made me choose Andrea Chenier, a wonderful opera, and MARCELO ALVAREZ was singing the main role. It was the perfect plan. With all the buzz about the movie of the musical Les Miserables I think going to see the opera Andrea Chenier is doubly enjoyable. Chenier was a real during who lied and died during the revolution. Of course the romantic story is not as historic as the persons. The real Chenier was not a romantic but he was a revolution man, a poet. But politically he was not on the winning side so Robespierre wanted him dead. I loved the production, so true and so real it was. The singing was suberb. Marcelo Alvarez was worth the trip to Torino. BRAVO!! !